Narrow section bearings are used in the Aerospace, Robotics, Medical, Photographic and Optical Equipment Industries or any industrial application where space is at a premium or weight reduction is required. The chrome steel, metric Narrow-section bearings are available open, shielded or sealed. 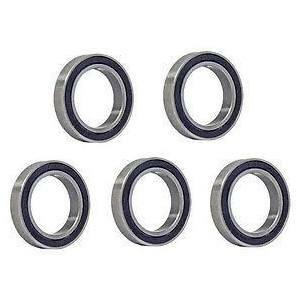 These thin-section bearings are supplied in SAE52100 chrome steel. Like most deep groove radial ball bearings, Narrow section bearings can withstand heavy radial loads and moderate thrust loads in both directions. Some of the smaller bearings are available with the TW high speed synthetic retainer. Metric Narrow-section bearings are available open, shielded or sealed. Available with or without Flanged Outer Ring in the 6700, 6800, 6900 series in Chrome or Stainless Steel.